Albumen print mounted on printed card. Dimensions: 16,8 x 10,8 cm. In good condition except for some very light foxing. Princess Marie Isabelle d’Orléans (Maria Isabel Francisca de Asis Antonia Luisa Fernanda Cristina Amelia Felipa Adelaide Josefa Elena Enriqueta Carolina Justina R; 21 September 1848 – 23 April 1919) was an infanta of Spain and Countess of Paris. She was born in Seville to Antoine d’Orléans and Infanta Luisa Fernanda of Spain. Antoine was the youngest son of Louis-Philippe I, the last King of France, and Maria Amalia of the Two Sicilies. Infanta Luisa Fernanda was the daughter of Ferdinand VII of Spain and her grandfather’s fourth wife Maria Christina of the Two Sicilies. All four of her grandparents and seven of her eight great-grandparents were members of the French Royal House of Bourbon. Amélie d’Orléans (1865–1951). 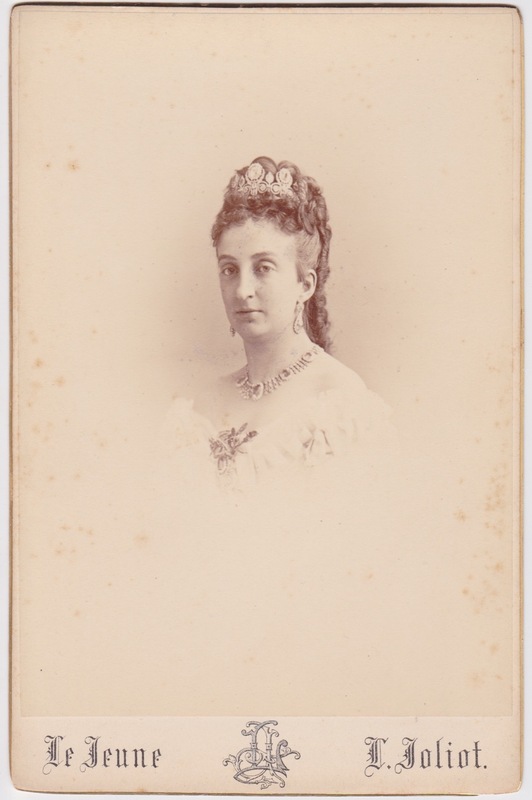 She married Carlos I of Portugal in 1886. Prince Louis-Philippe Robert, Duke of Orléans (1869–1926), claimant to the French throne as Philippe VIII. Princess Hélène d’Orléans (1871–1951). She married Emmanuel Philibert, 2nd Duke of Aosta in 1895. Prince Charles of Orléans (1875–1875). Princess Isabelle d’Orléans (1878–1961). She married Prince Jean of Orléans, Duke of Guise in 1899. Prince Jacques of Orléans (1880–1881). Princess Louise d’Orléans (1882–1958). She married Prince Carlos of Bourbon-Two Sicilies in 1907. Through her daughter Maria Mercedes of Bourbon-Two Sicilies, she was the grandmother of King Juan Carlos I of Spain. Ferdinand d’Orléans, Duke of Montpensier (1884–1924). He married Marie Isabelle Gonzales de Olañeta et Ibaretta, 3rd Marchioness of Valdeterrazo in 1921. Forced to leave France, Marie Isabelle and her husband first lived in England, where her father Louis-Philippe I had lived after his abdication in 1848. In 1871 they were allowed to return to France, where they lived in the Hôtel Matignon in Paris and in the château d’Eu in Normandy. In 1886, they were forced to leave France for a second time. In 1894, her husband died in exile at Stowe House in Buckinghamshire. Marie Isabelle lived in the Randan château in France, and died in 1919 at her palace in Villamanrique de la Condesa, near Seville. 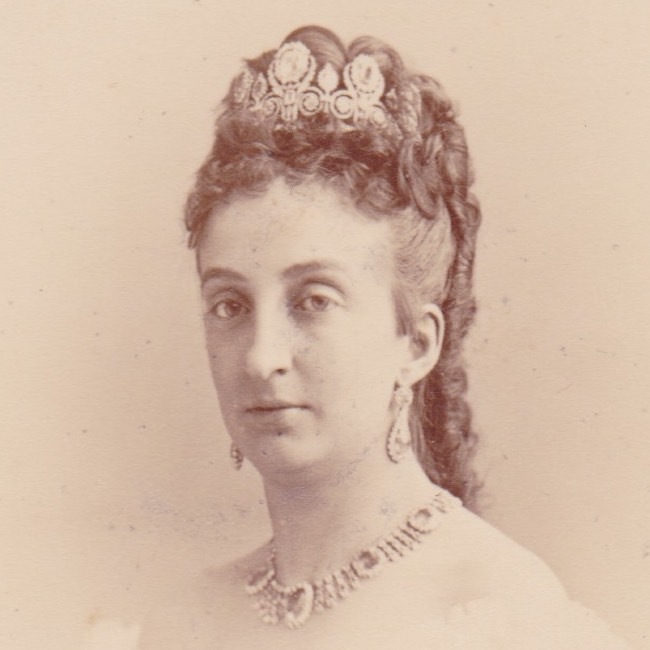 The Countess’s complete style, after her marriage, was: Su Alteza Real la Serenísma y Egregia Señora Infanta Doña María Isabel de Orleans y Borbón, Condesa de París (in English: Her Royal Highness the Most Serene and Egregius Lady Infanta Doña María Isabel d’Orléans, Countess of Paris).